Tom Kepler Writing: How Does a Fiction Writer Organize Writing? How Does a Fiction Writer Organize Writing? When I write fiction, sometimes I organize my thoughts as informal outlines of the plot--and sometimes I don't. 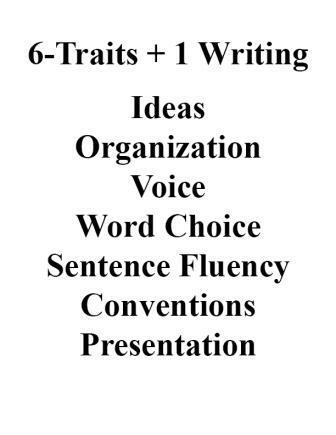 Six-Traits Writing says organization should enhance and showcase the writing subject in a compelling manner, effectively moving the reader through the material. Whatever structure used should match the purpose of the writing and its audience. The introduction should be inviting, the conclusion satisfying, the transitions thoughtful, and the pacing controlled—fast and slow in all the appropriate places. 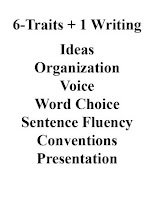 And don’t forget the true “introduction”: be sure to include a captivating title! The last line of the current short story I'm revising, "Who Listened to Dragons," was jotted down in advance: "These are the words I speak, my wish and my magic." Organization is a critical function of revision in fiction. How are events revealed and at what pace? How much do we reveal about a character, and where in the story is that information most important? Having "beta readers" is a good technique for determining how the story flows. Teenagers are excellent for this because they usually are comfortable with being bluntly honest--which, of course, is exactly what we want, an unfiltered response. For instance, I just added some detail to a fight scene in "Who Listened to Dragons," in response to a comment from a teenager who read the story. He even told me where to add the action. Organization is critical if the reader is to be motivated to continue reading. Most writers nowadays also have to maintain a blog as part of their writing presence online. The same general rules apply to writing non-fiction: ideas need to be organized. Whether we focus in the beginning on the flow, or whether we focus in the beginning on the direction really isn't important--as long as we make sure the piece has structure that lends itself to comprehension and the reader's pleasure. I never let anyone else read a piece until I have revised it multiple times. I find holding a story close in its initial versions keeps me in good emotional health and also helps my relations with my family and friends. If no one else has read a story, then I can do anything I want to with it and nobody will ever know. It's a great feeling of empowerment and freedom. I can experiment, backtrack, be downright goofy, and then throw it all out or not. I said to a friend the other day (who now is looking at a short story for me), "Why should I let you look at something I've written when I still know myself there are things that need to be changed? Why should I put you through that?" At some point, though, the seed has to slip its sheath. Line your ducks up in a row; it makes ‘em easier to count. Some readers will count by 1's, some by 2's, and some just do a rough estimate. If the story has clarity and coherence, everything will add up in the end, no matter what personal counting system the reader uses.